If the price and content is right. Raise your hand if you remember The Daily. Back when the iPad still had a 30-pin connection port, Apple teamed up with News Corp. to bring a new type of publication to the burgeoning tablet market featuring exclusive, interactive content, rich animations, and touch-focused games. It cost a buck a week or $40 a year and was delivered to Apple’s Newsstand app on the iPad each morning. It lasted less than two years. The biggest problem with The Daily was that it was too middle-of-the-road. Even after the early bugs were squashed, The Daily’s content was too generic to find a dedicated audience, a death knell in today’s 24/7 news culture. But Apple hasn’t given up on making subscription news a feature on iPhones and iPads. 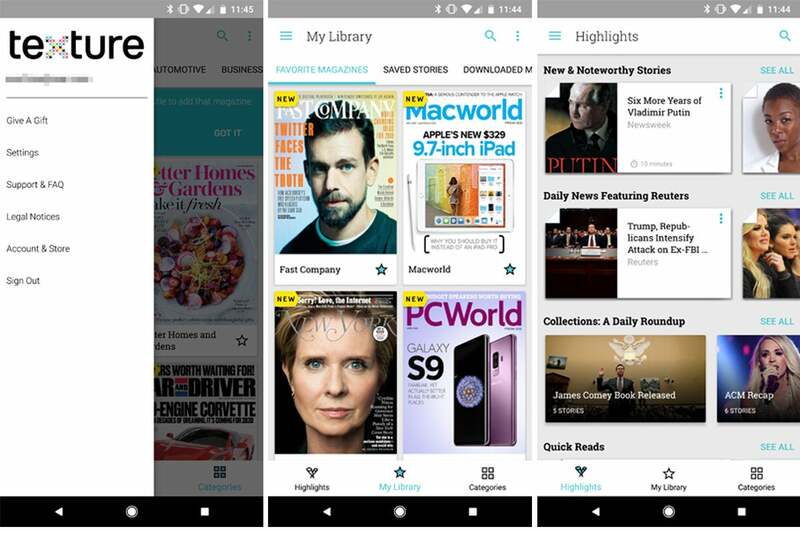 Just last month Apple announced it had acquired magazine delivery app Texture, and according to a new report from Mark Gurman at Bloomberg, a “premium subscription” news service is on the way. If you hadn’t heard of Texture before Apple gobbled it up, the service offers all-you-can-read access to hundreds of magazines for $10 a month (Macworld among them). The service is among the most popular apps in both the Google Play and iOS App stores, with thousands of five-star ratings. Gurman says Apple is working on integrating Texture technology into Apple News, a free reader app that launched as part of iOS 9 in 2015. According to his sources, an upgraded News app will debut within the next year with a new subscription component, with a slice of the revenue going to publishers. If it all sounds familiar to Apple’s Newsstand app, that’s because it kind of is. Apple has already tried to offer subscriptions to newspapers and magazines through iOS, but this new approach has a whole lot more going for it. If Apple follows the Texture model for the new Apple News, it could be a groundbreaking initiative for publications. While Texture is a popular service, building a subscription model for news into every iPhone and iPad would give publishers tremendous visibility, and pairing it with the excellent (and free) News app would let users get a taste of what their $10 will buy. News Corp shut down The Daily after less than two years. Unlike the Newsstand delivery method, readers wouldn’t have to buy magazines piecemeal, so an Apple news service would expose users to a whole library of content they might not normally read. Also, since Texture is largely a glorified PDF reader, magazines need to be downloaded before they can be read, and there's no real interactivity within them. If Apple incorporates its new service into the News platform, articles would be rich and animated, and like Apple Music, Apple could suggest articles and publications based on your reading habits, spotlight trending stories, and create “playlists” of like-minded articles. Beyond Texture, there isn’t a subscription news service that does for articles what Netflix and Hulu do for movies and TV shows. With exclusive content, engaging design, and a simple interface, Apple could simultaneously create and own a digital news service that combines Texture’s interface with Apple’s smart layout design and focus on breaking news. It would be like Google Reader on steroids. Rather than targeting single users, Apple could create a service that appeals to a wide variety of readers, no matter what kind of content they crave. But the killer feature would be cross-platform compatibility. While Apple doesn’t yet offer an Android version of its News app, Texture is available in the Google Play Store, much like Beats Music was when Apple bought the company back in 2014. Even when it shuttered Beats Music to launch Apple Music a year later, it made a version for the Play Store that’s just as good as the iOS one. I suspect an all-you-can-read Apple service would be just as popular on Android as iOS, especially as publishers look for an alternative to Facebook. The Daily was a good concept that was poorly executed and too limited in scope and audience to succeed. With a new subscription service, Apple has a chance to make things right. And it just might work.